This Sluis hotel is on the beach, 3 mi (4.9 km) from Hoeke Windmill, and within 9 mi (15 km) of Nieuwvliet Beach and Knokke-Heist Beach. Het Zwin and Zwin are also within 9 mi (15 km). Situated in Sluis, this hotel is within 9 mi (15 km) of Nieuwvliet Beach, Het Zwin, and Knokke Casino. Beverly Screens and Hoeke Windmill are also within 9 mi (15 km). 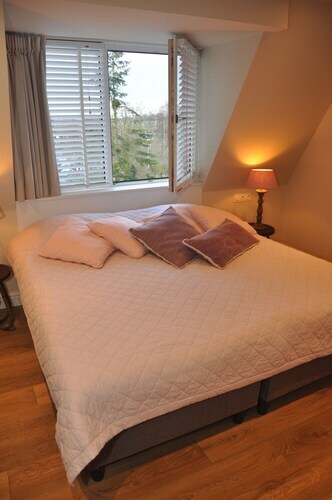 Situated in Sluis, this lodge is within 9 mi (15 km) of Hoeke Windmill, Knokke Casino, and Het Zwin. Beverly Screens and For Freedom Museum are also within 9 mi (15 km). How Much is a Hotel Room in Sluis? 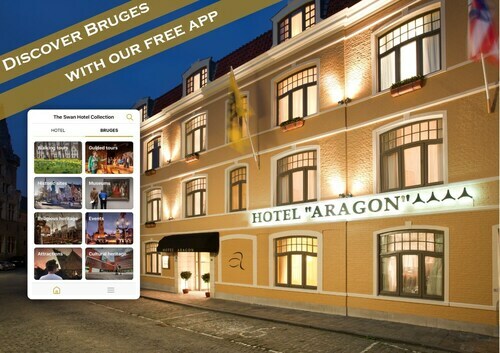 Hotels in Sluis start at $77 per night. Prices and availability subject to change. Additional terms may apply. Visiting Zeeland? Need somewhere to put your feet up? Travelocity features a wide range of options. 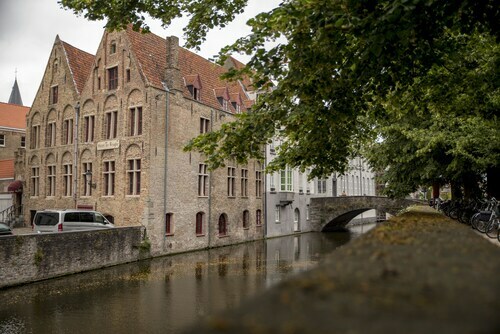 If you are planning to roam in Sluis, Travelocity has no less than 13 excellent accommodations within a 6-mile (10-kilometer) distance of the main center. 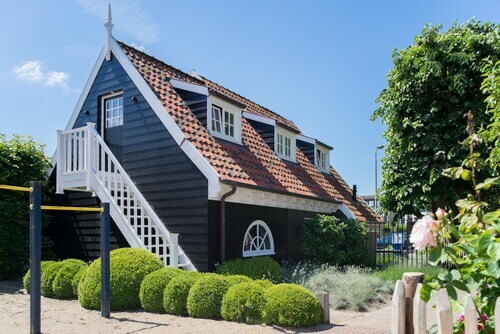 There are only a handful of Travelocity-listed accommodation options within an easy walking distance from the center of Sluis. The Fletcher Hotel-Restaurant De Dikke Van Dale is a good option for that fact that it is only 2 miles (3 kilometers) away. 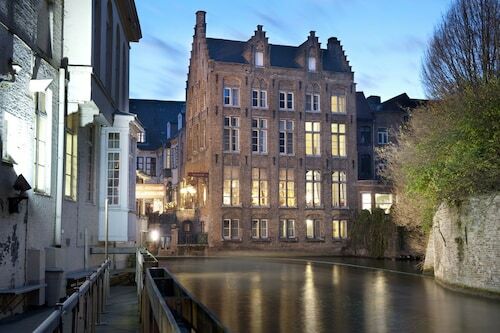 The Hotel Manoir du Dragon can be found 6 miles (9 kilometers) from the central part of Sluis. On the other hand, the Exclusive Guesthouse Bonifacius is positioned 10 miles (16 kilometers) away. The La Réserve and the Hotel De Orangerie are alternative accommodation options worth looking into around Sluis. Middelburg is 17 miles (28 kilometers) northeast of Sluis and is home to Oostkerk and Miniature Walcheren. 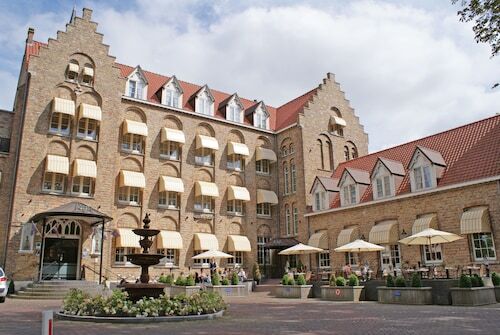 The Van der Valk Hotel Middelburg and Hotel aan de Dam are a few of the long and short-stay choices in Middelburg. 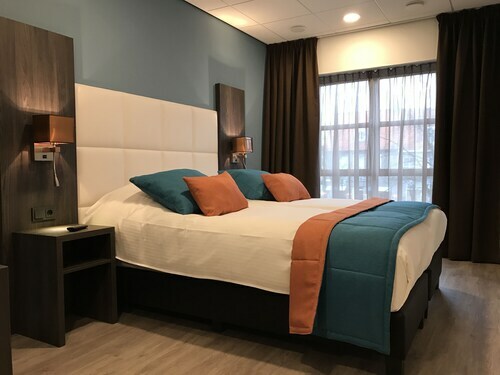 For another option, head to Vlissingen, 14 miles (22 kilometers) northeast of Sluis, where you have the options of the Hotel Restaurant Piccard and Golden Tulip Westduin Vlissingen- Koudekerke. While in Vlissingen, be sure to venture to the Maritime Museum and Het Arsenaal. If you are passionate about sport and enjoy watching local matches you should definitely get yourself to Ahoy Rotterdam, situated 60 miles (100 kilometers) to the northeast of Sluis. 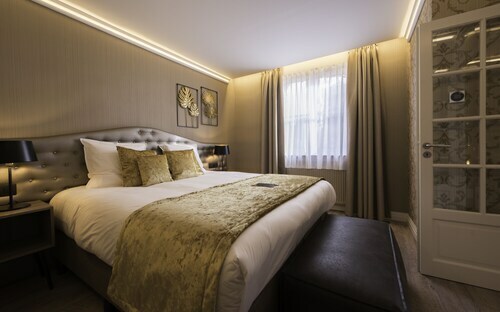 Modern visitors that wish to find accommodation options close by can select from the Mainport or the Hotel New York. Located 45 miles (74 kilometers) from the heart of Sluis is Antwerp International Airport. Stay nearby at Hotel De Witte Lelie or Firean Hotel. Centrally located on canal. Stunning view of canal from breakfast room. Tasty breakfast offerings, refilled frequently by friendly staff. Nice size room, super comfortable bed! Located in the center of everything you would want to see. The staff person was extremely helpful and kind. I was looking for a secure and comfortable place to spend the night and this fit the bill when I spent my day in Bruges. It really isn't comfortable if you are looking to spend more time at the hotel. The breakfast is enough too tide you over. Beautiful room with quiet view of canal. Had a tub, but no shower. Off the main streets, which means quiet at night. It is centrally located however which is a great benefit! Stores and cafes just out the door.